A DORNOCH-based academic has been named as the University of the Highlands and Islands’ ‘Best Dissertation Supervisor’. 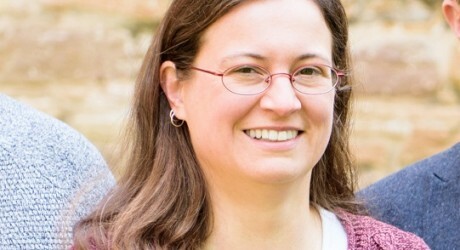 Dr Elizabeth Ritchie, a lecturer at the Centre for History, was nominated for the accolade by students in the university’s annual teaching awards. Dr Ritchie was praised for going the extra mile to support her students; providing encouragement, constructive feedback and extra opportunities to help them develop their skills and experience. One student explained: “I have been impressed by Dr Ritchie’s approach. “From the time I first expressed interest in a subject, she helped me refine my thinking, made suggestions for reading, identified material in archives which might have been of help and continuously encouraged me. “The feedback on the submitted dissertation (both her detailed comments on the text and overall summary comments) has encouraged me to continue with further studies. “I would add that Dr Ritchie’s coordination of the historylinks Dornoch blog has given me opportunities for contribution. “On each occasion I received extensive help on getting the focus correct, the editing tight and the text accurate. Dr Ritchie will be presented with a trophy and certificate. Speaking about her role as a dissertation supervisor, she said: “In the final year of their degree students get to choose a subject that interests them and get their first real taste of doing what historians do. “My job is to help them locate original documents, work with them to construct a question that it is possible to answer with the fragments of evidence we have and to assist them in framing their research into a final report. “I have been fortunate with having very enthusiastic students who actually listen to my advice! It is a real privilege to work with them all year as they wrestle with this immense project. The University of the Highlands and Islands was one of the first UK institutions to introduce student-led teaching awards. The initiative, now in its sixth year, recognises excellence in seven categories, with winners coming from around the university partnership. Dr Iain Morrison, dean of students at the university, said: “I would like to congratulate everyone who was recognised in our teaching awards. “The winners were chosen by the people who matter to us most – our students. Each winner, along with the many other nominees, should be proud of the positive impact they’ve had on the learners in our region. MEDIA RELEASE issued by the University of the Highlands and Islands. 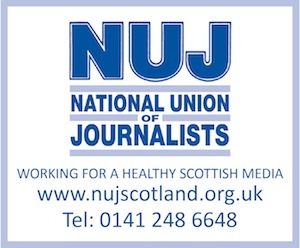 You too can post your story ideas for journalists (aka press or media releases), on allmediascotland.com. Email here for more information.